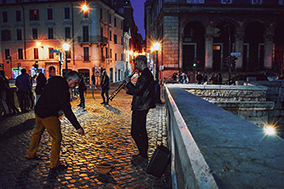 The Russo Brothers Italian American Film Forum provides the incredible opportunity for inspired and creative artists to craft films that explore the Italian American experience. 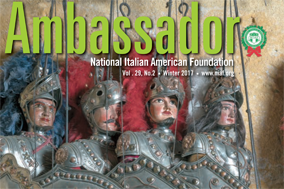 In conjunction with the Italian Sons and Daughters of America and the National Italian American Foundation, the former of which the brothers are lifelong members, Joe and Anthony invite you to explore the present, past, and future of this unique and important cultural expression and identity. A select number of applicants will be awarded a $8,000 grant that serves as a production budget for the story they’d like to develop and create for the screen. Documentary, narrative, fiction, and nonfiction are all acceptable formats. There are few rules to the content of your film, only that it illuminates some aspect of the Italian American experience. 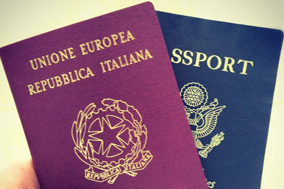 These grants are open to people of all nationalities and backgrounds, as the Italian American culture has touched so many of us in profound and resonant ways. Grants will be awarded based solely on the promise of a film’s premise, how it relates to the Italian American experience, and the creative potential of the filmmakers. The timeline below highlights all of the key dates to be aware of throughout the program’s entirety. If you’re selected for our grant, your acceptance means an obligation to deliver a film within the bounds of what you outline in the following application pages and by the due date listed below. Failure to complete a film by the final due date or delivery of a film unrelated or outside its immediate description written within the application will result in a full revocation of funds and complete disqualification. NIAF and ISDA will display the films on their respective websites and reserve the right to screen the films at NIAF and ISDA events and/or not for profit events. 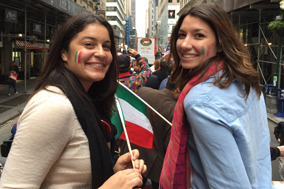 We couldn’t be more excited to offer a platform for voices worldwide to tell original Italian American stories. January 15, 2019: Application opens. October 1, 2019: All applicants who submitted films notified. Three finalists chosen and invited to NIAF Gala. November 2, 2019: Announcement of winning film at the NIAF Gala. CLICK HERE to read about the 2018 grant winners.